The ultimate book of the ultimate superheroes. 1000 stickers! Unleash the mightiest fighters of all time. Yup: it’s a Hulk-sized killer line-up of all the greatest ever Marvel icons. Spider-Man, Captain America, Iron Man – and Hulk himself, of course. 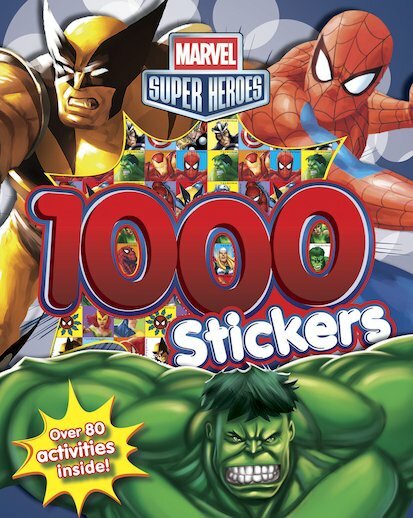 All in one mega-sized funbook with OVER 1000 STICKERS!!! Go on: try it for size. Storming scenes to colour. Sticker activities. Brain-bending puzzles. Plus your own cartoon adventure to draw. Doesn’t that sound pretty super to you? my bought this book for my son. he likes it very much.